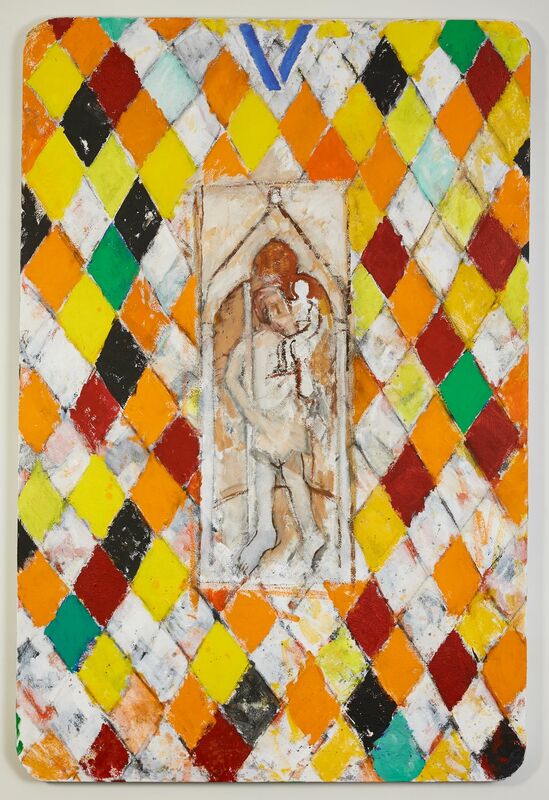 Marlborough is delighted to present an exhibition of new paintings by Joe Tilson. Following on from his 2016 exhibition 'Stones of Venice', this collection continues to draw upon Tilson’s love and knowledge of the city he has visited for over 60 years. Continuing a year of celebration for his 90th birthday, Marlborough is delighted to present an exhibition of new paintings by Joe Tilson. Following on from his 2016 exhibition, Stones of Venice, this collection continues to draw upon Tilson’s love and knowledge of the city he has visited for over 60 years, bringing together some 15 large canvases painted in acrylic with his characteristic use of bright colour and expressively layered texture. Opening 10 April, this exhibition straddles the unveiling of two exciting public installations by the artist in Venice. Since the 50’s, Tilson has nurtured a love of Venice, and is celebrated in both his native country and Italy, dividing his time between London, Tuscany and Venice. Since 2002, he and his wife have spent months of each year in their small house in the sestiere of Dorsoduro. In 2018 he was commissioned by the Grand Hotel Hungaria on the Lido to produce some 3,000 glass panels to adorn the façade of the hotel as part of their major renovation. 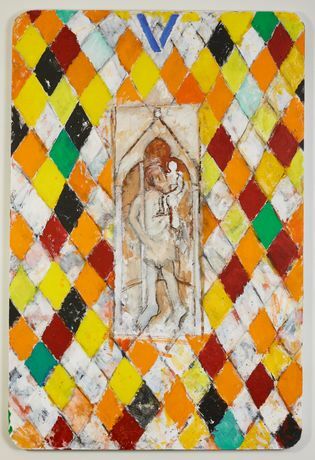 Following several solo exhibitions in Venice, it is little wonder that Tilson will be recognised at this year’s Biennale with a special commission to be unveiled in May. 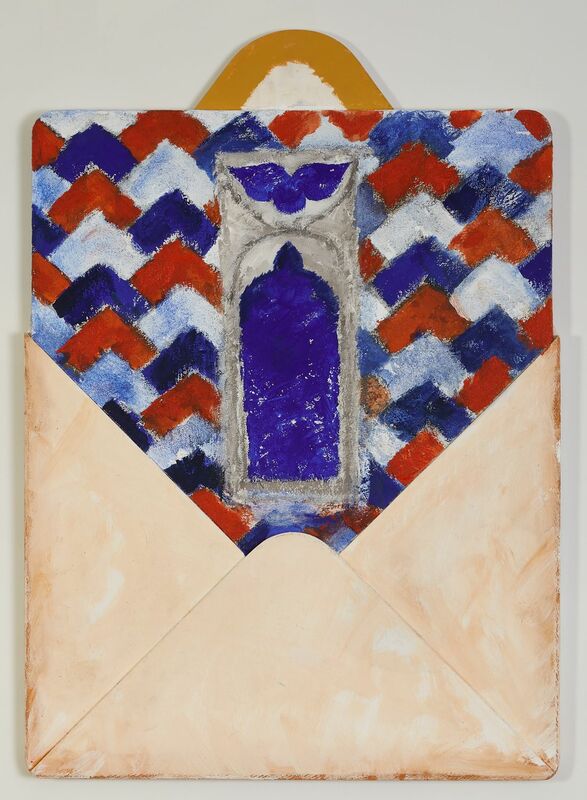 As Ruskin’s 200th anniversary is marked in 2019, this continuation on the theme of Stones of Venice is a timely nod to the influence the great art historian and critic has had on Tilson. 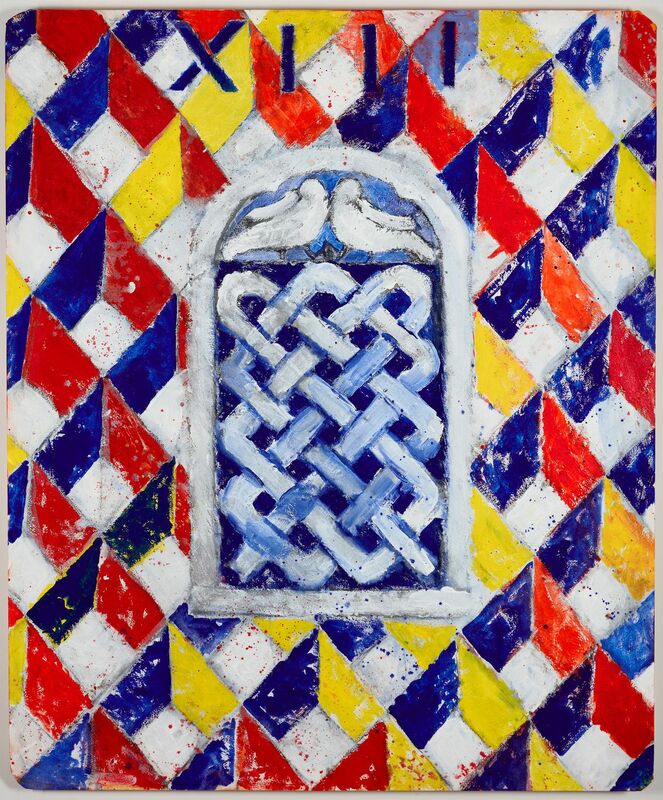 Ruskin’s 1851-53 examination of Venetian art and architecture of the same title sits applicably in line with Tilson’s latest series of works, depicting façades of his favourite Venetian churches. 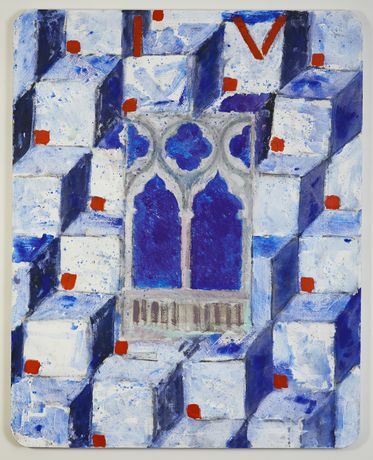 Paired with bold geometric patterns of the city’s stone flooring, Tilson’s large-format paintings are carefully titled to reveal which particular archway or façade is detailed. The exhibition will include a number of new works from Tilson’s postcard series: images of ecclesiastical buildings embedded in giant sized replicas of envelopes. A fully illustrated catalogue will accompany the show, with essay by Waldemar Januszczak.